Neuropathy is the least understood and most devastating complication associated with diabetes. Diabetic neuropathy develops in patients despite of regular therapy, indicating that marketed drugs has minimal effect on pathways leading to the development and progression of these complications. Present study was aimed to evaluate natural compounds for their ability to interfere with pathways leading to the development of diabetes mediated neurological complications and compare their efficacy with marketed anti-diabetic drugs. Anti-diabetic potential of ascorbic acid, gallic acid, quercetin, ellagic acid, cinnamic acid, caffeine and piperine was predicted by evaluating in-silico interaction energy (kcal/mol) of these compounds with insulin receptor, peroxisome proliferator-activated receptor gamma-γ and dipeptidyl peptidase-4 proteins. Ascorbic acid, gallic acid, quercetin and ellagic acid showed excellent in-vitro antioxidant activity in DPPH radical scavenging and inhibition of lipid peroxidation assay, which was 1.5–3 folds better than the marketed drugs. Quercetin, gallic acid, cinnamic acid, piperine and caffeine efficiently prevented H2O2 induced genotoxicity, which commercial drugs failed to prevent. Further, quercetin, ellagic acid, caffeine and ascorbic acid were 3–4.7 folds better than marketed drugs in inhibiting α-amylase activity. Herbal molecules and rosiglitazone showed comparable results for glucose uptake, which may be attributed to enhanced GLUT4 translocation into primary neuronal culture under hyperglycemic conditions. In conclusion, currently available marketed anti-diabetic drugs have minimal effect on the pathways leading to diabetic neuropathy and supplementing diabetic therapeutics with quercetin, ascorbic acid, caffeine and ellagic acid may be better suited to counter diabetic neuropathy through inhibiting oxidative stress, genotoxicity and improving neuronal glucose utilization. Clinically available anti-diabetic drugs are focused on eliminating excessive glucose from the blood, providing only symptomatic relief from the disorder. Anti-diabetics have to be taken throughout life and despite of that diabetic complications, especially neuropathy, continue to progress slowly and steadily, besides additional side effect of the drugs themselves . It has now become evident that certain food and its ingredients are very effective in managing diabetes  and about 90% of DM cases can be avoided just by adopting necessary lifestyle and dietary changes . Strawberries, raspberries, cranberries, grapes and beverages are rich source of antioxidants, such as ascorbic acid, gallic acid, quercetin and ellagic acid. Various studies reports beneficial effect of these plants during hyperglycemia and associated oxidative stress (Vatterm and Shetty 2005). Plants such as Urtica dioica, Piper nigrum, Cinnamomum zeylanicum and green coffee are rich source of quercetin, piperine, cinnamic acid and caffeine and their extracts are known to be beneficial in the management of diabetes and associated complications, , ,  and . 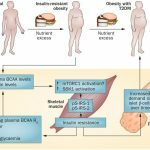 It has now become evident that diabetes associated complications and mortality are largely due to oxidative stress and genotoxicity mediated damage during hyperglycemia and can be controlled efficiently through certain dietary and lifestyle modifications. In the present study, we demonstrated that marketed drugs were incapable of preventing oxidative stress and genotoxicity, which explains the reason for continuous progression of neurological complications in diabetic patients despite of regular medications. Ascorbic acid, gallic acid, quercetin and ellagic acid possess superior antioxidant properties and genotoxicity-preventive than marketed anti-diabetic drugs. 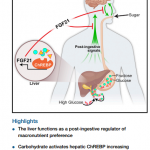 This could be of an added advantage to control the progression of its secondary complications since oxidative stress and genotoxicity are the major pathways leading to neurological complications during diabetes. Further, quercetin, caffeine, ellagic acid and ascorbic acid significantly inhibiting α-amylase activity thereby can reduce hyperglycemia through reducing dietary glucose load, which was not achieved by marketed drugs. We further demonstrated that natural molecules were capable of enhancing glucose utilization by the neuronal cells probably by enhancing membrane GLUT4 translocation, which is undoubtedly a clear-cut indicator that they may possess significant antidiabetic and neuroprotective effects. When compared to natural molecules, glucose uptake and GLUT4 translocation was insignificantly different after rosiglitazone treatment. Metformine and glimepiride failed to produce any appreciable effect. Thus, it can be concluded that quercetin, ascorbic acid, caffeine and ellagic acid are more efficient than marketed drugs in targeting pathways that leads to the development of diabetic neuropathy. Enhanced dietary intake of these compounds or supplementing them with current therapeutics can possibly retard genesis and progression of diabetes and its associated neurological complications and improve the quality of life in diabetic patients.